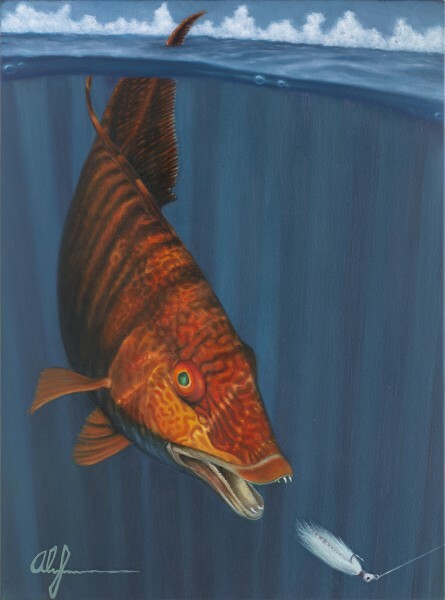 This Nassau Grouper was found in the waters of a protected Marine Sanctuary. 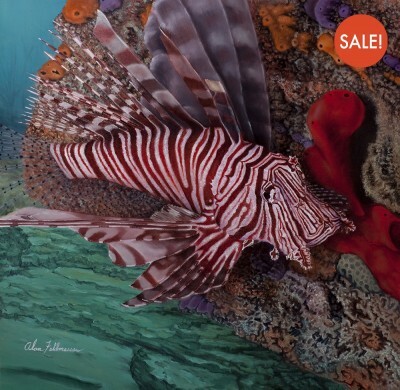 He was hiding behind some antler coral when Alan found him looking back at him in a very shy way. With his pouty mouth, this grouper just had to be photographed. Alan used that photo, in combination with a few other references shots from his catalog of photos and a whole lot of imagination to come with this composition. 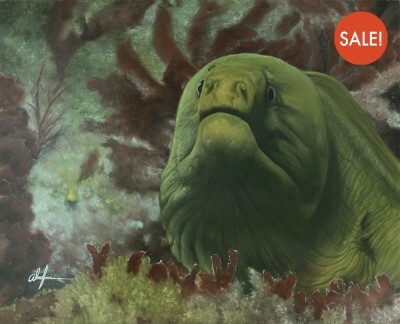 This Original Oil Painting sold for $5,000. 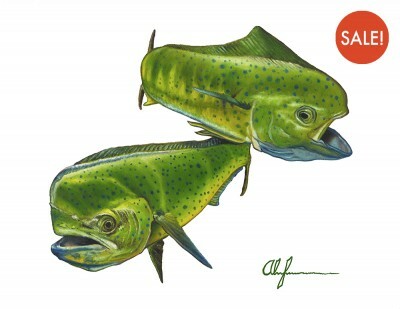 If you have a special moment you would like immortalized in paint on canvas, contact the artist to talk about it today. Cost is determined by size and complexity of your subject matter. To discuss pricing, contact Alan by email or call toll-free: 754-200-1278. 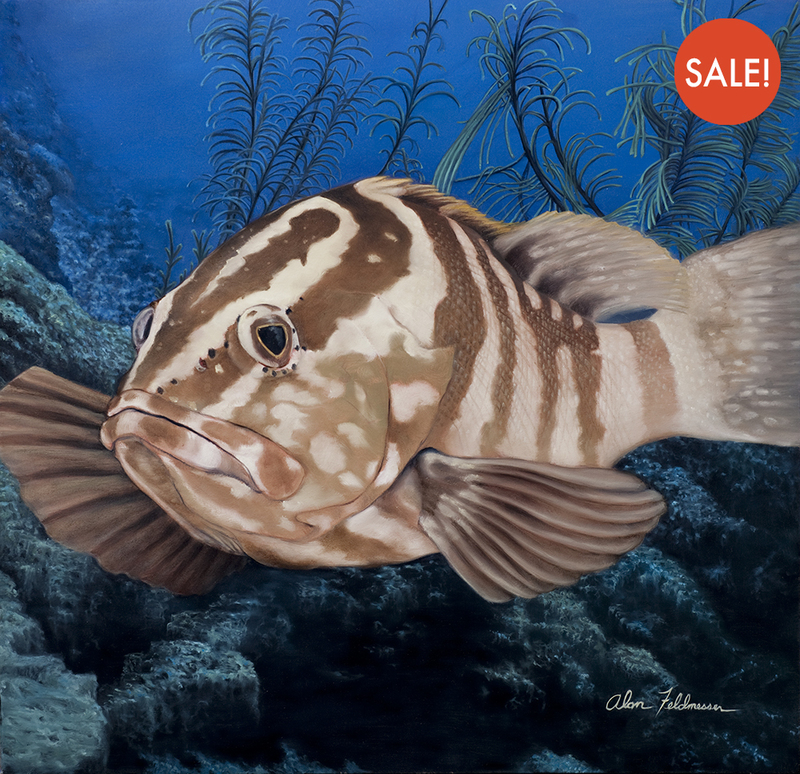 24"x24" matted, 12"x12" matted to 16"x20", 24"x24", 30"x30"
Be the first to review “Nassau Grouper” Click here to cancel reply.